Steeped in mythology, symbolism and mysticism, The Veils of Illusion is the story of Sophia - a young woman feeling trapped and dissatisfied who decides to take a journey into the 'dark night of her soul' to find greater meaning in her life. This is a lovely story of self discovery conveyed as an allegory to the classic 'Hero's Journey'. 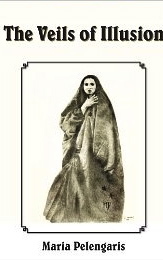 As the various veils are peeled away Sophia discovers much about herself and the world around her. A story we can all benefit from. 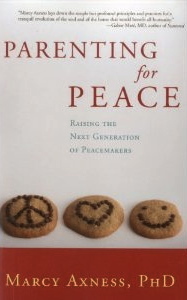 are needed for raising well balanced kids, empathetic kids in our fast paced contemporary world. Principals which are much different then those needed by kids raised 10 or 15 years ago. Although it would benefit any parent to read this book, I can definitely see this material being taught in college level child development classes. Hampton Roads Publishing Company Inc. 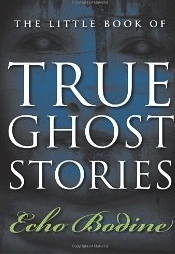 There is a lot of good information packed into The Little Book of True Ghost Stories. Echo Bodine not only discusses ghostly incidents that have happened to her throughout her life, she also provides the reader with a clear understanding of what happens to the soul when we die. She also discusses different reasons why some souls stay earthbound after death. Some of the other topics in the book include Bodine's experiences growing up and discovering that she was psychic, clearing and protection methods, and prayers. Also why you should never play with a Ouija Board unless you really know what you are doing - something I wholeheartedly agree with. 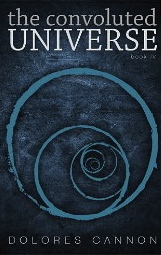 Universe in which we live. This is the 4th book in her fascinating series and it focuses on evolution of consciousness and global transformation that is currently going on around is (and in us). The more Dolores interviews people under hypnosis the more information she has to share about what goes on 'behind the veil' and the contributions that it can make towards helping us understand our lives. Delores states that her books are to be approached as 'mind candy' and that they will probably bend your brain like a pretzel. Well, she's right - they do. But they have also expanded the minds and enriched lives of millions of people around the world for the better. And that's an pretty incredible thing! 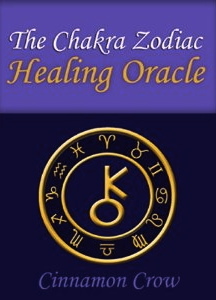 deck for all skill levels, it also acts as an excellent learning tool for those who wish to deepen their understanding of the energetic connections that exist between the planets, Zodiac system and the Chakra energy centers. For anyone who who has studied Eastern Traditions and religions you may already be familiar with these connections and how they work. In that case, the cards will only strengthen your practice. Several different spreads are suggested and discussed in the guidebook, along with a clear and concise written explanation of each card's symbol. The longer I spent with this deck the more I enjoyed it. Thoughtfully written and executed. Very nice! Very nice web site. I was looking for more site and found your blog very fine.